The Seahawks head to Los Angeles this weekend to face the first-place Rams, and based on past history, this figures to be a tough test. The Rams have won three straight home games against Seattle, though none of those by more than a six-point margin, so expect a close, physical game at the Los Angeles Memorial Coliseum. 1. Aaron Donald and Rams D-Line vs. Seattle’s offensive line. Stop me if you’ve heard this one before, but if the Seahawks are going to get going on offense, they need to at least limit the damage done by All-Pro, game-wrecking defensive tackle Aaron Donald. Seattle’s line has made considerable progress over the past couple of games, but they’ll be facing a huge test not just against Donald, but also the likes of Robert Quinn and Michael Brockers. The good news for Seattle is that its line continues to grow, as was demonstrated in last week’s game in which Russell Wilson had more time to operate, and the running game got going, producing 194 yards on the ground. 2. Seattle’s passing game vs. the Rams pass defense. Yes, the Seahawks most definitely want to establish the run, and the numbers suggest the Rams run defense could be vulnerable—Los Angeles is allowing 151.5 rushing yards per game, third worst in the NFL—but based on the past two weeks of play from Russell Wilson and his weapons, the Seahawks could be poised for a big day through the air as well. Wilson has thrown for 668 yards and six touchdowns in the past two games, including 558 yards and five scores in the past six quarters. The Rams, meanwhile, have allowed 26.3 points per game, which ranks 28th in the league, and have given up 35 explosive plays (16-plus-yard pass, 12-plus run), tied for third most in the league, including 23 explosive passes. That could be good for an offense that, over the past two weeks, is tied for fourth in explosive plays with 17. If Wilson can be on it early, there should be opportunities for Doug Baldwin, Tyler Lockett, Paul Richardson, Jimmy Graham, Luke Willson and the rest of Seattle’s weapons to make some big plays. And fortunately for the Seahawks, they’ll have a much healthier version of Wilson than they did last time they were in Los Angeles. When the Seahawks played the Rams in Week 2 last season, Wilson was only a week removed from the high ankle sprain he sustained in Seattle’s opener, and was far from being his usual, elusive self. 3. Rams RB Todd Gurley vs. Seattle’s linebackers. On the flip side of those numbers is the incredible start the Rams have gotten off to on offense. A quarter of the way through the season, the Rams lead the NFL in scoring (35.5 points per game), rank fifth in total offense (383.8 yards per game), and have 38 explosive plays, the second most in the NFL. Second-year quarterback Jared Goff has improved a ton since the Seahawks saw him last season, and the Rams upgraded some of the talent around their young quarterback, but if there’s one player who is capable of doing the most damage Sunday, it might be running back Todd Gurley. Gurley isn’t just the Rams’ leading rusher with 362 yards on 86 carries, he also is their leading receiver with 20 catches for 234 yards. Gurley also has seven touchdowns—four rushing, three receiving—to lead the NFL. Gurley’s rushing and receiving ability means a lot will be asked of Seattle’s Pro Bowl linebackers Wright and Bobby Wagner. The Seahawks have fared pretty well against dual-threat backs in large part because of their athletic linebackers, who aren’t just good against the run, but can also cover. 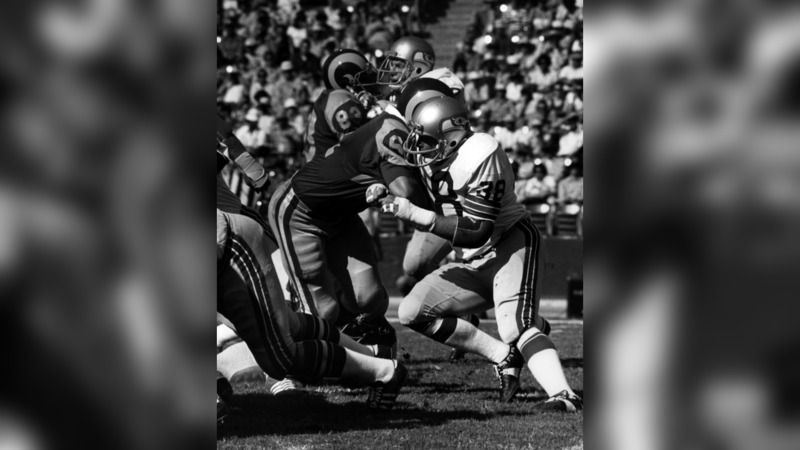 Take a look back through history at the Seahawks' matchups against the Rams as the two teams ready to face off during Week 5 at the L.A. Colesium.